Avaya has revamped one of its IoT security solutions to include a wider scope of application. Formerly SDN Fx Healthcare, the company has relaunched the platform as Avaya Surge, and it is now available to run on any vendor network. 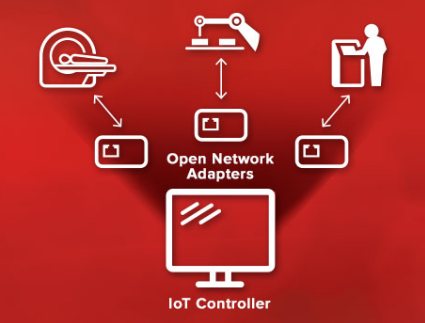 The solution helps companies in any vertical industry protect their valuable data from unauthorized access through IoT devices by pairing them with a small adapter, which creates an intelligent network node – a secure segment around each connected device. Every segment can be centrally controlled and managed with custom security features that can be as tight, or as relaxed, as they like. “Avaya Surge is the easy, practical, cost-effective and proven solution that companies need as they expand IoT strategies and deployments and move their organizations forward,” Marc Randall, senior vice president and general manager of Avaya Networking, says in a Feb. 14 press release. HyperSec zoning is the technology set that creates these encrypted zones, the release says, which “enables Surge to isolate and filter traffic from device to destination.” This makes the device less visible and protected from attacks like viruses and malware. “Traffic flows are filtered on a white-list basis, limiting what the device receives and sends and to who or what it communicates,” the release adds. 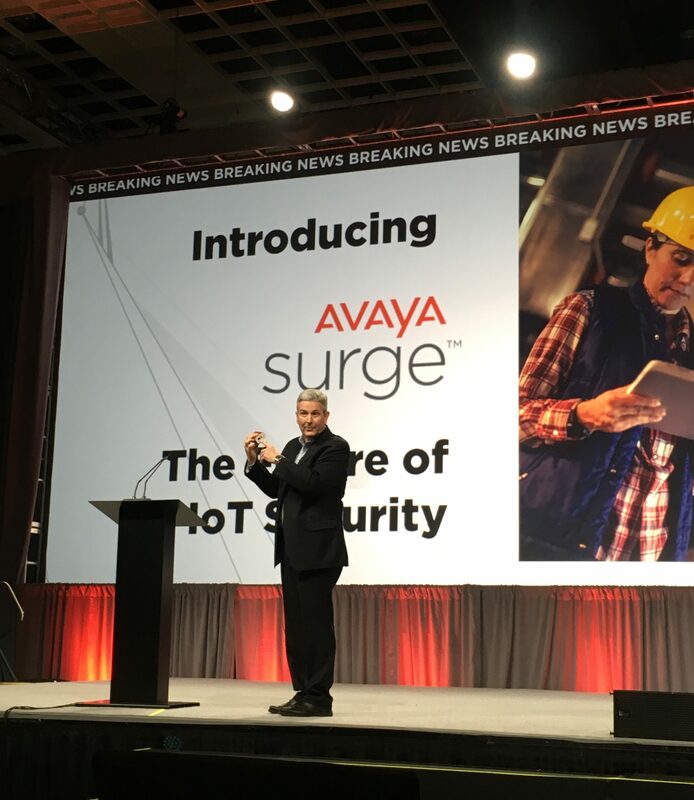 Marc Randall, senior vice president and general manager of Avaya Networking, announcing Surge at Avaya Engage in Las Vegas, held at the MGM Grand from Feb. 13-15. Surge also uses automation to secure the perimetre – when disconnected from the network, device profiles disappear, and when they are re-connected, they are automatically reassigned to make it as easy as possible to use. Liam Kiely, vice president of R&D data solutions, explains at Avaya’s Engage event, held from Feb. 13-15 in Las Vegas, points out that this automation is key for users in the healthcare, manufacturing, and power/electricity industries where devices are constantly moving around and plugging in to different locations. These are the company’s target customers, and it has already received enquiries from hospitals around the world, including in the US, Israel, Norway, and the UK, Kiely says. Avaya Surge also automatically learns and updates from traffic flows, reports asset utilization that details operation activity of devices, and offers programmable APIs to enable organizations to customize services and applications. It will be available through Avaya channel partners in the second quarter of 2017, the company says. According to US-based market research firm Gartner, Inc., over 25 per cent of identified attacks on enterprises will involve IoT, and that number is expected to escalate over the next several years as more connected devices offer entry points. 2017 will be the first year connected devices outnumber the human population on Earth, and by 2020, that number will more than double to 20.4 billion IoT devices. Kiely explains that most traditional approaches to protecting IoT devices are complex, expensive and inefficient – not to mention hard to scale up.